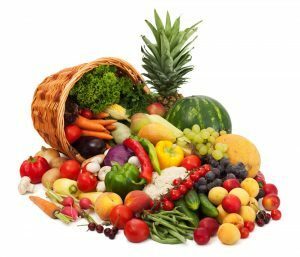 Fact: Fruits and vegetables are very good for the body. They are abundant in vitamins, minerals, and antioxidants that do not only ward off many diseases, but are also vital for body processes. Fruits and vegetables( just like other food), contain calories. A lot of people do not count these calories, thinking that it is negligible. 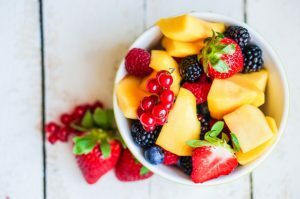 Although there are lesser calories in a cup of raspberries compared to a cup of cereal, this number could add up increasing total caloric intake (especially when added to an already high-calorie diet). Fruits contain a sugar called fructose. Fructose is chemically similar to glucose; both are simple sugars that can be converted into body fat when taken in excess. Do: Substitute rather than add. For instance, eating carrots for a snack instead of chips is always a healthier option. Consider fruits and vegetables as sources of calories and sugar just like every other food. Myth #2: Fructose is a natural sugar and therefore better than glucose. Fact: Both fructose and glucose are naturally occurring substances. It just so happens, that fructose comes from fruits. Glucose, which is abundant in starch, is important to our body. It regulates the release of insulin from the liver, which in turn allows the glucose to be absorbed by the cells. On the other hand, fructose does not trigger this kind of body response, making the body less sensitive to insulin. Surprisingly, based on studies, fructose contributes to more body fat than glucose. Do: Incorporate fruits to a balanced diet plan. Avoid processed sugars, may it be fructose-based or not. Fact: As previously mentioned, our body needs glucose to function. 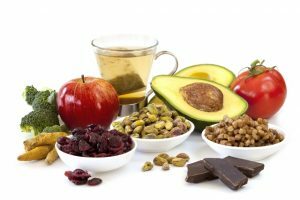 It serves as fuel to the cells.Sustaining the body with other energy sources for a long period of time can bring detrimental effects to the vital organs. Do: Stick to whole grains and stay away from simple sugars. Due to the simplicity of its chemical composition, simple sugar raises the blood sugar fast and drops down quite rapidly. This could lead to craving for more carbohydrate-rich foods. Complex carbohydrates, on the other hand, take more time to be absorbed by the cells, providing sustained release of glucose. Fact: The human body has a default system that allows it to use fat when it is starved of sugar. However, fat is not the best source of energy, due the waste products, it produces which puts strain on the kidneys. Substituting sugar with protein adds more insult to injury. Protein produces nitrogenous waste that could also add more stress to the kidneys. 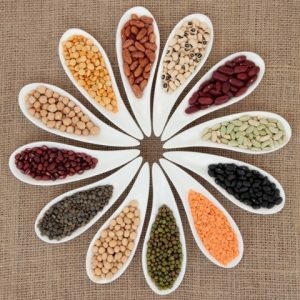 Do: Eat high-quality carbohydrates, such as whole grains. This provides the body the fuel it needs for a longer period of time without accumulating excess fat. As previously mentioned, maintaining a diet complete with all of the food groups is the best way to keep a healthy body. Fact: For many years, people thought that fat was the culprit for a number of diseases. It was not until recently that researchers found the many benefits from fats. Just like vitamins and minerals, sugar and protein, many body functions and processes rely on fat. It is impossible for the body to function without it. Fats vary in chemical structure, and the body reacts to them in different ways. Trans fat is the group of fat that must be avoided. They are linked to high-blood pressure, high cholesterol, diabetes and a lot more. Do: Consume healthy fats. Healthy fats are divided into 2 categories, the mono-unsaturated fats, and the poly-saturated fats. MUFA are found in plant sources such as nuts, avocados, olives and sunflower oil. PUFA on the other hand, are abundant in salmon, sardines, walnuts and canola oil. Studies show that a diet high in healthy fat helps prevent heart disease and high-blood pressure. Adding healthy fats to a balanced diet increases high-density lipoprotein, which is important in removing unwanted cholesterol on the walls of the arteries. In conclusion, the answer to the question, “How to live a healthy lifestyle?” is already known by most people. Take everything in moderation. Too much of anything is bad. May it be eating too many fruits and vegetables, or eating too much bacon. Sustaining balance in every aspect of life is important in achieving not only a healthy body but also a healthy mind. This entry was posted in Good Health and tagged balanced diet plan, healthy eating, healthy eating myths. Bookmark the permalink.